Does Donald Trump even know who Tiger Woods is? Donald Trump, in a clumsy attempt on Monday to portray Barack Obama as a do-nothing-but-play-golf slacker, slammed POTUS for getting in more rounds in 2015 than Tiger Woods. Ignoring for the moment Trump’s stale complaint about Obama’s enthusiasm for the links (a campaign tactic that worked so well for Mitt Romney three years ago), the Republican frontrunner who owns 17 golf courses worldwide could at least have compared the president to a golfer who actually played a bunch this year. For someone who considers himself the savior of the women’s game and whose Doral track hosts a PGA Tour event where Tiger has won four times, Trump must be too busy alienating the golf world with offensive comments to notice that Woods spent more time on the DL with a bad back than on the course this year. The former world No. 1, who said in his annual holiday message on Tuesday he hoped to play his way onto the 2016 Ryder Cup team, completed just 32 official tour rounds this year. But Trump’s not one to let facts get in the way of a narrative, so why not make it sound as if Obama played 250 times in the past 12 months? Indeed, the outgoing Chief Duffer may have logged that number during his seven years in the White House, but as Golf.com observed, George W. Bush took far more time off for vacations than his successor. As for Woods, who played at least one of those 250 rounds with Obama and will turn 40 next week, the 14-time major champion reflected in his holiday remarks about his “up and down” 2015. While reminiscing about his glory days, as he did frequently during the Hero World Challenge earlier this month, Woods highlighted the 12-shot margin of victory in his first major win at the 1997 Masters as his top accomplishment. Achieving the Tiger Slam — winning four majors in a row across two calendar years, “something no professional golfer has ever done” — was second, followed by his streak of 142 consecutive cuts made. But that was then, and the owner of a battered 40-year-old frame that has undergone three back surgeries since March 2014 is Woods’ now. 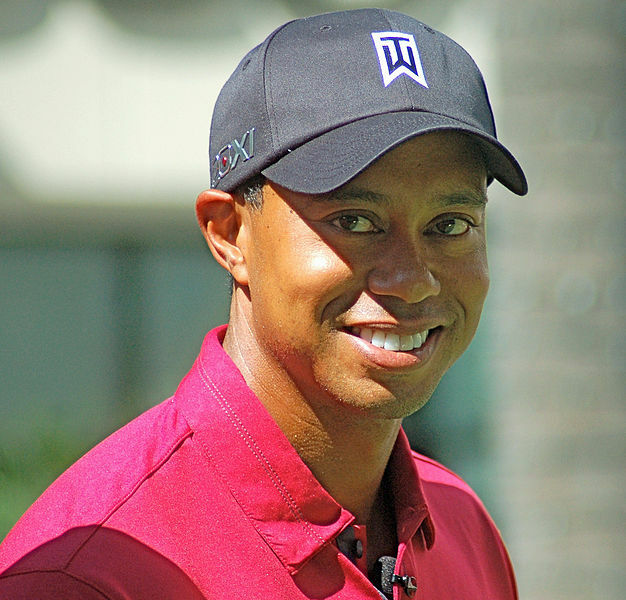 “It was a tough year physically and took a toll on my body,” wrote Woods, who noted his T17 comeback at the Masters was “pretty special” but the “frustrating part” was his inability to build on his progress. So it’s onto 2016, with Woods looking forward to “getting back out there again. With a timetable for an eventual return to competition not yet forthcoming, Woods said he saw himself “still playing golf at the highest level and winning tournaments and major championships” in the next five to 10 years. For the near future, though, Tiger may have to be content with helping Davis Love III skipper the U.S. team at Hazeltine. Back9Network on the back 9 after laying off 40% of its staff?